Whereas our last list was 6 games that we are equally united in loving, we found that getting ten we both agreed that enthusiastically on was basically impossible– the idiosyncrasies in our tastes became pretty apparent, and there’s just not enough room to boil it down to two or three choices each. Rather than even trying, we’ve expanded our choices to twelve. Each of your beloved bloggers will give you his four favorites. These might honestly be more interesting; this bottom eight is where we fully expect some dark horses to come through and some interesting picks to get revealed. NOT EVEN THIS WILL RUIN ME2 FOR ME. The Mass Effect trilogy stands as one of this generation’s biggest monuments. There are a huge number of achievements we can place at the series’ feet: successfully telling a cohesive 3-game long story, having some of the most memorable characters in gaming, and, most importantly, arguably being the best mainstream mass-media science-fiction story of the 21st century. Honestly, the best endorsement I can give the series is that if I had to pick one video game to pitch to my dad (a guy who’s never played a video game besides Oregon Trail, but is way into Star Trek and has a signed photo of Peter Jurasik from Babylon 5) it would be Mass Effect— it doesn’t simply compete with the science fiction that inspired it, but stands among the best. The series has always been plagued with problems though: the first game’s clunky combat and cluttered inventory and stat systems, the second’s planet-scanning minigames, the third’s occasionally-questionable writing (although I have no problem with the ending, I can’t take the evil cyborg space-ninja seriously as an antagonist). The second one, though, is close to perfect. There are complaints, sure: the combat’s too cover-heavy, the planet-scanning is boring, Miranda exists. But those are small compared to complex, interesting characters like Jack and Mordin Solus, fantastic voice-acting, intensely satisfying and strategic combat, and some of the most well-written and fun missions of the past several years. The combat is simple but has a surprising depth (playing it on Insanity is up there with Brass Balls in Bioshock as some of the most satisfying hard-mode I’ve ever played), and it’s the richest and deepest look at Mass Effect‘s world and culture. It also made the bold decision to go in a different story direction from the other 2 games: relying on a less epic, more mysterious main conflict and focusing the majority of the game’s plot on exploring its world and getting to know its characters– only to spend the entire incredible final mission testing you on how well you knew and trusted those characters, with their lives hanging in the balance (the fact that Bioware is much better at world-building and characters than at narrative definitely helps). Also, it had Martin Sheen, something no other game on this list can claim. Best Moment: “Bad Blood,” Mordin’s loyalty mission that pushes you into dark moral territory and essentially feels like the best episode of Star Trek that never got made. How epic can you get? It’s amazing that Miyamoto still has it after all these years. 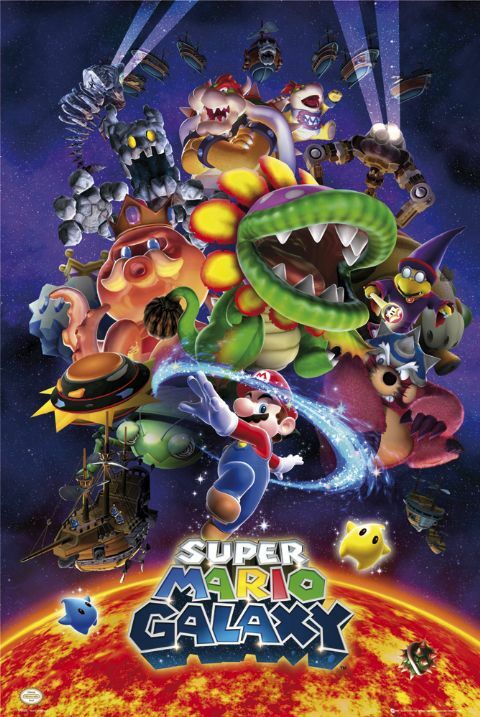 Super Mario Bros. created the platforming genre as we know it today and in 2007, Super Mario Galaxy completely revitalized the genre in the age of the FPS. In short, Galaxy reminded me why I originally liked Mario so much after many years of nothing but Sunshine (and the underrated Luigi’s Mansion) to tide me over. And playing it on Christmas morning back in 2007 made me feel like a child again. Structurally, the levels feel a lot more akin to the classic games in the series than the previous 3D entries, which had a more exploratory feel. The paths to each of the stars are mostly linear with finely crafted challenges along the way that all build on the motifs of the level. Classic items like the mushroom, fire flower, and invincibility star (which were absent in 64) all make reappearances, as well as some new items, like the bee suit, which feel right at home in the franchise. But not only did Galaxy bring back that classic Mario feeling, it’s arguably the best title in the series, no small feat considering how stiff the competition is. It improved the aging gameplay of Super Mario 64 immeasurably, added in some innovative new gravity mechanics, and had an epic scale to it that the Mario series had never attempted before. The game also manages to be incredibly imaginative with its settings, in ways that no other Super Mario title has ever been. There are, of course, the classic lava, desert, water, etc, levels that appear in almost every game of the franchise, but then there are the stages where you infiltrate massive space battle-stations, avoid dangerous dark matter in gravity shifting environments, and even traverse a floating obstacle course made of cakes and other pastries. If I have to point to flaws, some of the boss fights are a little lackluster, and maybe the underwater controls are a little too loose, but these issues do virtually nothing to diminish the luster of this nearly perfect game. Super Mario Galaxy manages to feel nostalgic while being incredibly new and I’m more than happy to call it my favorite game in the series. Best Moment: The “Gusty Garden Galaxy.” It perfectly encapsulates the epic scale and the inventive gameplay that make the game amazing. 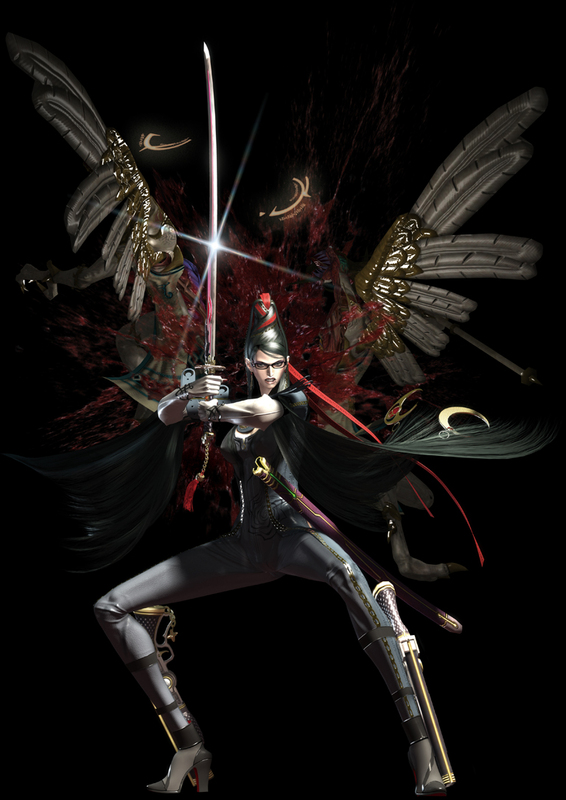 Bayonetta is a really smart game, and we’ve talked about this. It’s got gorgeous art design, maybe-feminist credentials, a surprising amount of serious theological scholarship, and pretty clever writing (plus a story that is one of the most ludicrously complex I’ve ever seen). The game’s treatment of religion is a big part of why I love it– I’m a huge fan of Blake, Miltion, and Donne, and the ways that the game interacts with and draws on some of the same ideas, Biblical weirdness, and Judeo-Christian apocrypha, combined with its weird quasi-feminist retelling of myth and history, makes for a strange and heady experience that I just love. But all of this artistic and narrative stuff is a distant second to the main reason I adore Bayonetta: it’s got some of the fastest, most fun combat I’ve ever played in my life. Playing Bayonetta is like getting drunk and ramping a sports car up a dragon. It’s a fairly natural outgrowth of two of Hideki Kamiya’s previous awesome games: combining the varied, outlandish action spectacles of Viewtiful Joe with the acrobatic combat and semi-realism of Devil May Cry. And it works incredibly well. The way in which combat seamlessly integrates dodging, the completely natural flow to all the combos, the way that it keeps you constantly moving and weaving like a damn Sonic game– I’m hard pressed to name another game in which combat feels this fluid and cool. And the sheer spectacle on display– the giant boots made of demon-hair, the high-heel mounted bazookas (named the Col. Kilgore, which is great game design because Apocalypse Now is the greatest film ever made), the ability to spank enemies to death –means that I spent the first hour of the game with my jaw hanging open at the over-the-top cartoonish awesome of everything. Combine that with what are easily some of the best boss fights of this generation and this may well be the most purely fun entry in the entire article. Most of my love for Bayonetta is focused on how fun the fighting is, yes, and the game has some problems– its two minigame levels go on way too long, and the plot is so complex I’m still not sure what actually happens –but the core gameplay is basically perfect. Best Moment: A boss fight against God. A boss fight. Against God. Cougars, the real scourge of the west. Despite the popularity of the genre in both books and film, there are almost no video game westerns to speak of. There was Sunset Riders, an arcade-style shooter that I was practically addicted to as a kid. But other than that, I can’t remember playing any other westerns, that is until Red Dead Redemption (which is technically the sequel to a Capcom game that I and most others didn’t play), and it was everything I had always wanted to see in a western video game. Redemption succeeds as a sandbox game more than almost any other title I’ve played. There’s just so much to see and explore within the world, and it reproduces most of the different kinds of environments that you’ll find in the American West. While the world in this game does contain some of that amazing Rockstar satire (like a hilarious early cartoon about the “dangers” of women gaining the vote or a terribly incompetent social Darwinist professor), it doesn’t have quite the same level of personality that GTA IV’s Liberty City does, but the greater potential for exploration makes up for that. I could spend hours just hunting bears in the mountains or riding through the wilderness busting gang hideouts, and that’s one of the main reasons this game shines. Another area where Red Dead Redemption stands above the rest is its writing. As stated above, it doesn’t contain as much of a satiric edge as the Grand Theft Auto games, but it takes many of the darker themes about America that GTA IV introduced and adapts them to the wild west. As the plot progresses, the game deals with issues like the costs of maintaining civilization and the hypocrisies of the American government. It also does an amazing job of showing how brutal and amoral the wild west actually was. The game even covers a good deal of the spectrum that western movies do, starting out with missions similar to the old John Wayne westerns, transitioning into the grandeur and mythic qualities of the spaghetti westerns in Nuevo Paraiso (Mexico), while finally settling into the darker tones of films like Dead Man, and somehow it all feels seamless. Saying that Red Dead Redemption is only the best video game western does it a disservice– it really is one of the best westerns of any medium. 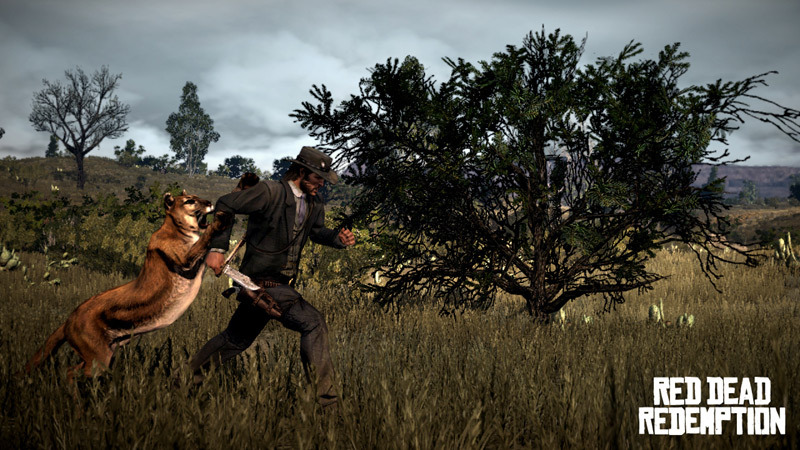 Best Moment: The mission, “And The Truth Will Set You Free”, where protagonist John Marston finally confronts his old mentor and gang leader. It contains some of the best written dialogue I’ve ever heard in a game. 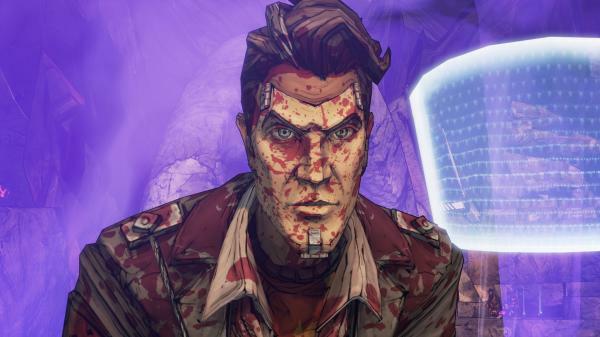 The Borderlands series went from having no conflict to one of my favorite villains ever. I really didn’t expect to be taken in by Borderlands 2 as much as I was. There were various reasons: the first game was a really fun diversion but had a really bungled finale and was pretty sparse in terms of narrative. The core mechanics of “tons of random crap and sifting through loot” seemed too MMO-ish to grab me. The people who made have a history of being kind of awful. But it really, really worked for me. (Mind you, I might be biased– I played through the entire game with my girlfriend as Player 2, which I think might be a little more fun than doing it with random strangers online). 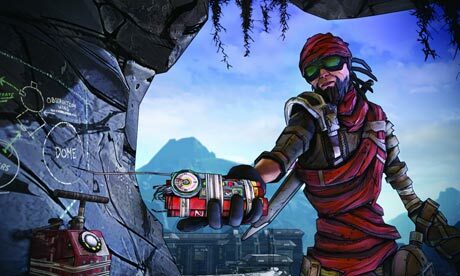 What’s really impressive about Borderlands 2 is the way in which it successfully married mechanics and art. It uses the skinner-box-driven luck and reward mechanics of an MMO and the team-based co-op of games like Left 4 Dead, but was actually able to craft a compelling narrative out of them. I went in expecting a fun way to shoot bandits and hunt for guns with my girlfriend, but found a level of consistently clever writing and interesting characters more befitting a classic Lucasarts adventure game than anything else. 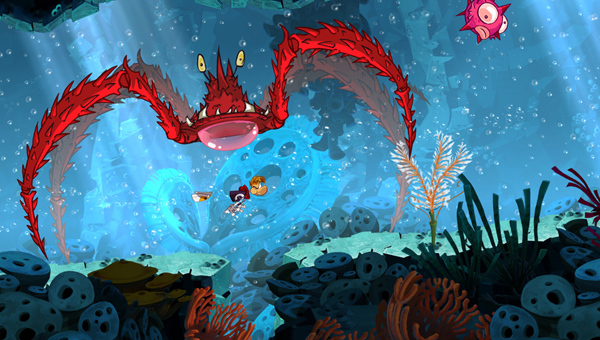 And there’s the visuals: the lush and cartoony cel-shading that makes it one of the best-looking games ever. The game’s art design and graphics make even minor events look beautiful. And then it got serious. And it got big. The game started throwing out really fun characters, more and more unique and quirky weaponry, and some legitimately great storytelling. It actually made me tear up at one scene. It delivered one of my favorite video game villains of the past several years. By the end of the game the combat was still fast-paced and fun, the loot was still random, and there was grinding and scavenging galore, but I had a really deep emotional connection to the game that took me completely by surprise. It’s everything a sequel should be: so much bigger and deeper that it makes the original game obsolete. And it’s the rare game that you can pick up for an hour of mindless diversion, or sink an evening into just getting absorbed in the story. Best Moment: “Where Angels Fear to Tread,” the end of the second act. Things have been getting progressively more serious, but the sudden turn towards a much darker story– and the amount to which the previously-cartoonish villain Handsome Jack becomes sadder, more complex, and legitimately menacing –highlights this game’s ambition and everything it does right. A return to that classic Mega Man difficulty. It’s true that Mega Man 9 didn’t really add anything to the core gameplay of the series, much like most of the other Mega Man titles, but there’s something to be said for a game that does an exemplary job of polishing up an old formula. The level design is some of the strongest in the series, introducing new twists on the core mechanics in each level, but never straying too far from them. The level design is also helped along by possibly the best arsenal of weapons in the entire series. While in most Mega Man titles (even in the second one) you can coast through almost the entire game using only three or four of the more useful weapons, here all eight of the weapons feel relatively balanced and equal. And playing the stages in time trial mode will encourage you to find new uses for your powers too. Finally, and this might seem like odd praise to heap on a Mega Man game , the story is handled really well. The NES style cutscenes (still images with text) capture the old charm that storytelling in retro video games has, and the ending is amazing (again second only to Mega Man 2). Overall, it’s just a fun game that takes a great old song and makes it catchy again. And speaking of songs the soundtrack’s great too but c’mon, for a Mega Man game that goes without saying. 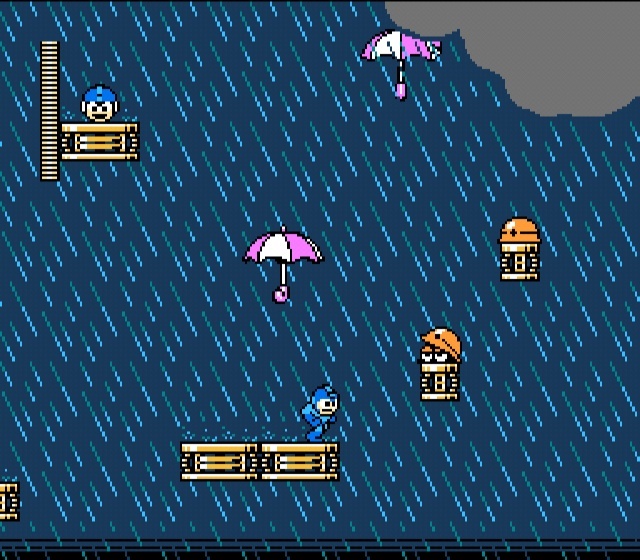 Best Moment: Tornado Man’s stage. The level introduces a slew of interesting gameplay twists. Also the music and changing weather patterns (which not only look great but affect the gameplay) make it one of the most immersive stages in the whole series. The game looks and feels like a wonderful cartoon. This was a tough choice, because it’s ultimately one of representation. I could have put another Western RPG here (Fallout: New Vegas was definitely on my short list), repped another great indie game (until Hotline Miami came out, Bastion was going to be the indie representative here), or said Sonic Generations because Sonic is the coolest hog alive and nothing you will say is going to change my mind (also, Sonic Generations really is a fantastic game and it made me feel like a kid again). Ultimately, I decided to go for Rayman Origins, a beautiful throwback that proves that there’s still room in this generation for some really classic ideas. This has been an interesting generation for platformers. There have been a few mainstream ones that took the genre in new directions (Super Mario Galaxy being the most notable example, while newer Sonic games have been taking a more ignoble path), but 2D platformers have been mostly delegated to the indie market while the mascot-driven 3D collect-a-thons of the last two generations basically died out. But Rayman Origins avoided either of those directions: it’s a perfectly-done, completely classic 2D platformer, and one that deserves to be mentioned in the same breath as Sonic 2 or Prince of Persia. And the fact that it got a full-price release and full support from Ubisoft (and an upcoming, amazing-looking sequel on the Wii U) is one of this generation’s most surprising success stories. It deserves the success though. The game feels like a master class in how to design a platformer. Gorgeous art design, wonderful music, a perfectly-designed sense of difficulty and escalation, and a wide variety of levels built around a ton of different challenges and play styles. Like the best Mario games, many of the levels have their own unique challenges, are built around quirky mechanics, and incorporate familiar obstacles in new styles and combinations. The game has 66 levels and almost every one of them feels distinct. It’s not just a return to the classic Rayman formula, it’s the best game of the entire series. If this game had come out in 1994 we’d be talking about it as one of the great 2D platformers. I hope that we still can. Best Moment: When you get the ability to run up walls, suddenly transforming the game’s fundamental mechanics halfway through. This would be impossible in any other platformer. This is another game that really inspired me as an fledgling indie developer. It’s amazing that essentially one guy was able to create a game that’s as well made as this one. VVVVVV manages to impress me so much because it takes a simple gameplay mechanic– the ability to flip (basically reversing your own gravity instead of jumping)– and wrings everything it can out of it. The game also follows the Mega Man approach to level design, introducing unique twists on the gameplay in each new stage and gradually evolve said twists through the duration of the level. The stages are actually linked together by an overworld and can be accessed in any order (except for the final stage), making it a bit like a metroidvania game on top of all this. The graphics are really well done too. Using this simple, yet unique and attractive graphical style no doubt gave creator Terry Cavanagh the time he needed to make the gameplay nearly flawless. So yeah…that’s about it. I’m sorry for the shorter entry here but really no amount of discription can do this game justice, it’s the kind of game you just need to play to really understand, which you can do now that you’re almost done reading this blog post. The difficulty may be pretty high but don’t worry, the frequent checkpoints stop the game from getting overly frustrating. Best Moment: “The Tower”, where you have to flip quickly to escape a steadily rising floor of spikes. It’s a great segment that really gets your adrenaline pumping.